Wat is dit voor site? Wij zoeken de goedkoopste boeken op internet. Blind Ossian's Fingalvonden we het goedkoopst op Bol.com voor €0. We hebben gezocht in nieuwe en tweedehands boeken. Rechtsonderaan de pagina kan je het boek direct bestellen	via Bol	.com. Ossian is a collection of epic poems that bring out the figure of the hero, Fingal, which name comes from Scots Gaelic Fionnghall, meaning 'White Stranger'. 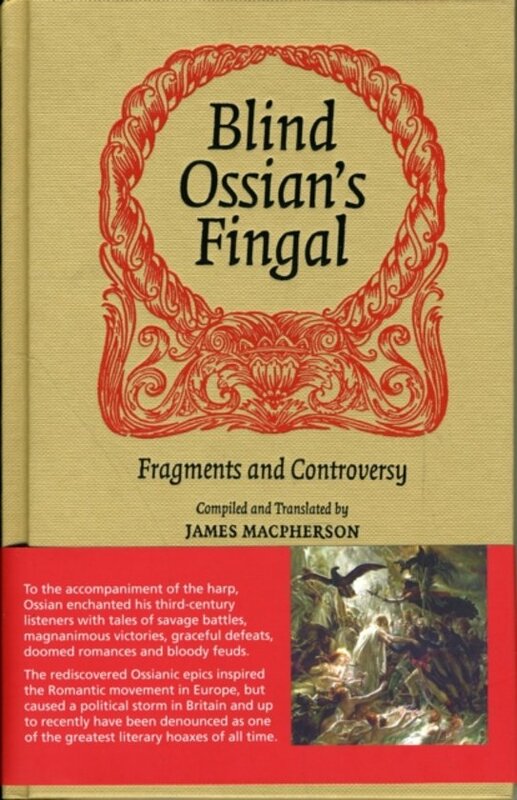 The poems where originally written in Gaelic and translated by James MacPherson into English, although there is a long lasting debate about the authenticity of the poems, since some historians believe MacPherson wrote them himself, whilst Irish historians hold that Ossian has its roots in Irish myths, not Scottish. Despite the debate, The Poems of Ossian achieved international success and have been compared with Homer's Iliad, inspiring many later writers such as Walter Scott and Goethe.